One of the things I am truly obsessed with is taking better pictures of food with my phone! Actually, not just food, mostly everything and anything! It all goes back to an incident in 2014 (more details on this in the future) when I was truly frustrated with the fact that although I am a photographer who knows how to use her camera, I was unable to take pictures with my phone that I was in love with and proud of! As you can see, I have my trusted $9 Ikea table, along with parchment paper as my go-to props﻿, this is a minimalistic approach where my main focus is on the colour, texture and shape of the food. Whether you are a beginner or a seasoned photographer, it’s always better to start simple and then build up your scene. What really matters is I have access to natural light, which I can’t emphasize enough how beautiful it is and I want you to find the light, whether at home, restaurant or cafe, make sure you get close to a window (please don’t shoot with direct sunlight, use a screen if you have to). Let’s just say if you want a great photo of food, then that food better look good! Pay attention to your styling, plating and choice of garnish. 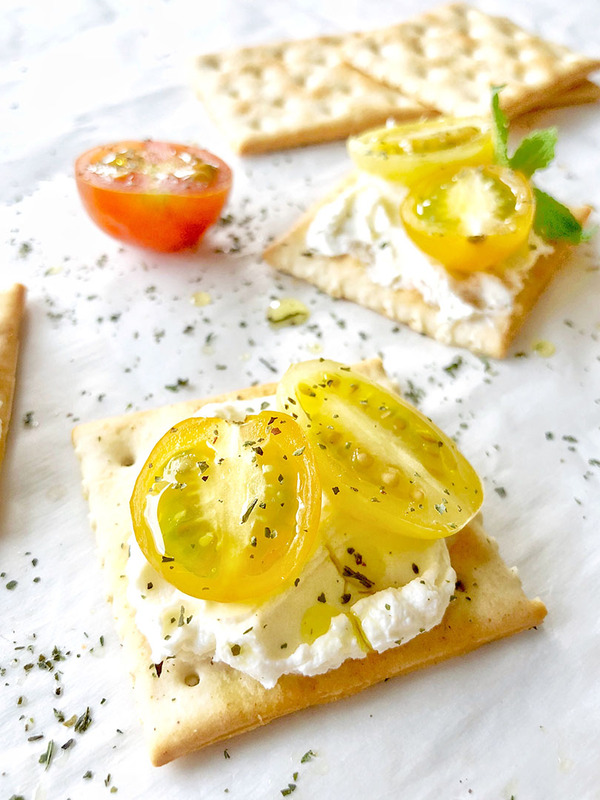 If you are unsure of where to start, I would say “less is more”, don’t overload your food with too many garnishes and pay attention to scale, meaning tomato size needs to be relevant to the cracker as well as the mint leaves I chose to add. I have talked about this many times and explained it more in this FREE GUIDE, but my favourite three rules to follow are: Rule of Thirds, Rule of Odds and Negative Space. Obviously these photos are edited and guess what, I edited them with my phone! You can check out this post HERE of how I edit photos with my Phone.